Join us on for a guided three day hiking trip to South Rim of Grand Canyon National Park! We’ll spend two nights camping under the stars and three days hiking some of the most famous trails in the country. We’ll head below the rim on the South Kaibab and Bright Angel Trails to get different perspectives on ancient rock layers and expansive vistas. 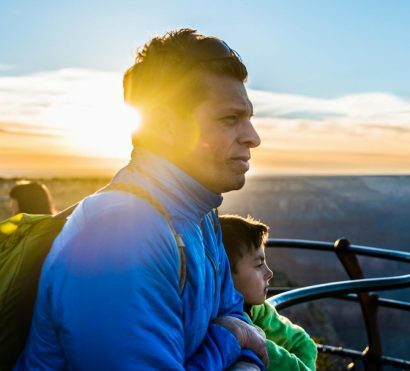 The South Rim is steeped in history and you’ll have a firsthand look at what makes one of America’s most iconic National Parks so special. This trip is perfect for groups of friends, active families, and single travelers. 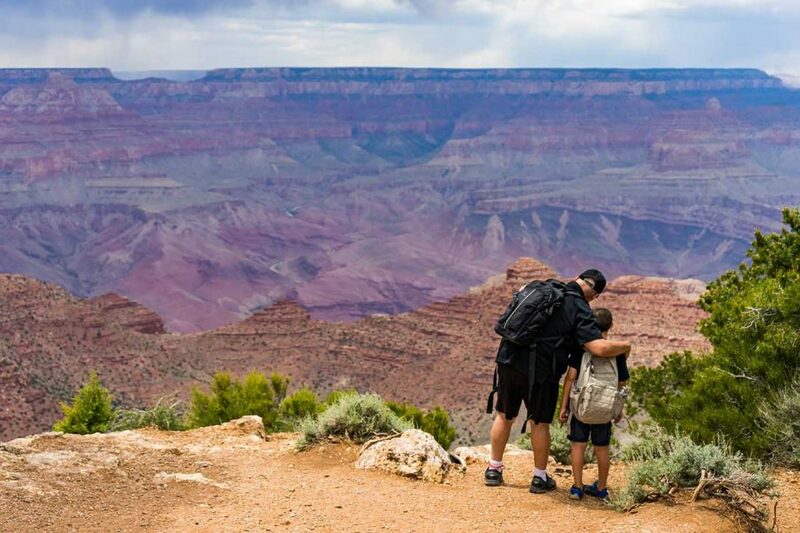 Comfortable camping, access to iconic landmarks, and all logistics taken care of are what makes this the perfect Grand Canyon vacation. With food, permits, and the complex details worked out, you can relax and enjoy the Grand Canyon as it was meant to be. 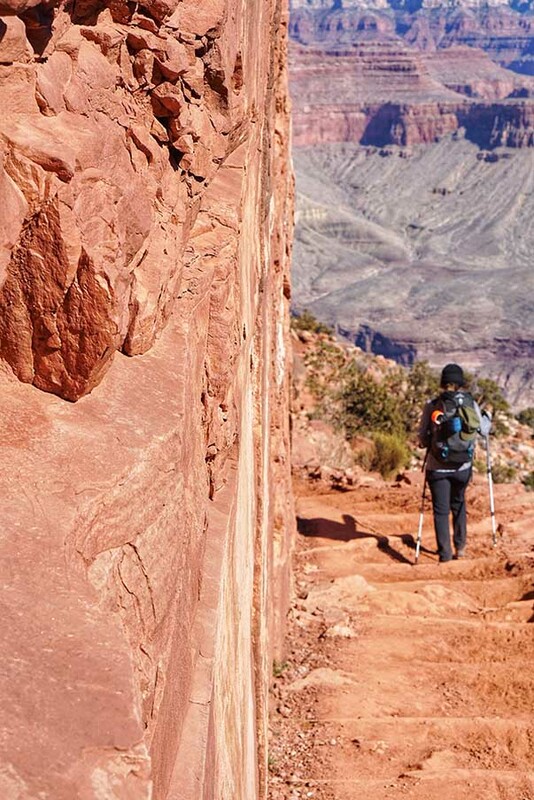 Experience everything the Grand Canyon South Rim has to offer on this 3-day hiking tour. Expansive views, excellent hiking, comfortable camping in the pines, and high adventure await on this weekend excursion. 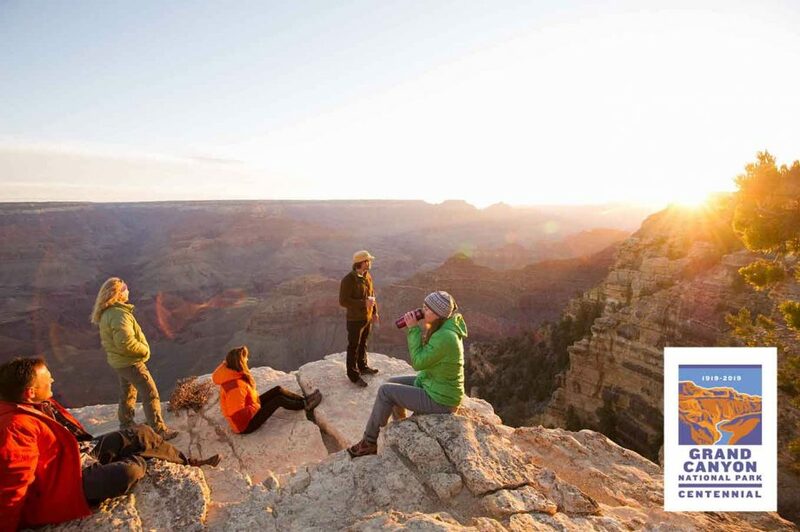 By day, we explore below the rim on world-famous trails and by night, relax around the campfire with new-found friends swapping stories and gazing at the star-filled night sky. We camp in the cool pines of the South Rim. At 7,000 feet in elevation, the nights cool down to perfect conditions in the summer to make for an unforgettable camping experience. The grandeur of the canyon is front and center every day as we explore nearly 2 billion years of exposed natural history. 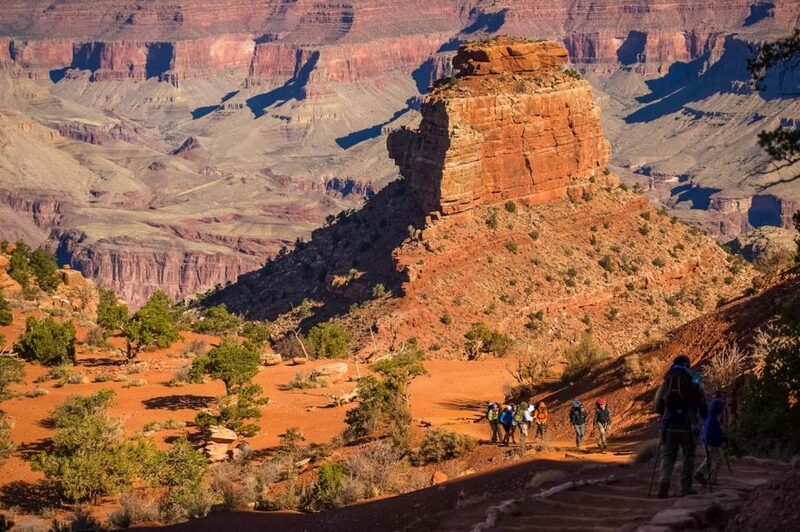 Grand Canyon National Park has an important place in the story of America’s parks and you will get a glimpse of everything that make’s it so special on this weekend hiking adventure. Trip End: Finishes in Scottsdale, AZ between 5 – 7pm on Day 3. Today we start the adventure with the transfer from Scottsdale up to Grand Canyon National Park. We’ll enter the park through the less-crowded east entrance at the Desert View area. Our first stop in the park will be for a scenic lunch break at the historic Desert View Watchtower, a Mary Coulter-designed attraction that provides expansive views over the canyons wide eastern stretch. 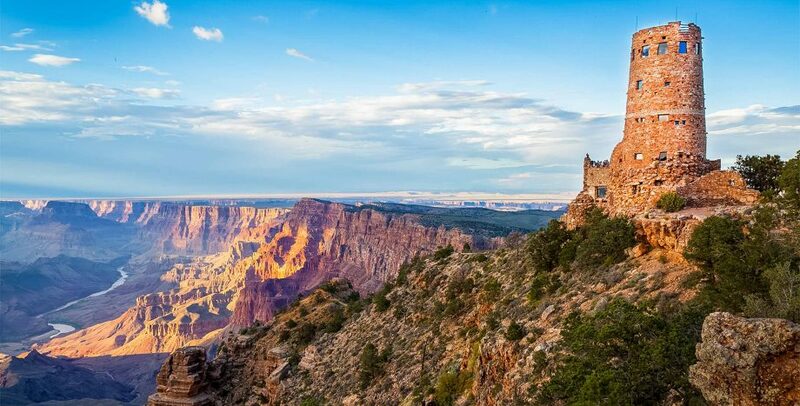 We’ll take in the views and tour the Watchtower before transferring over to Grand Canyon Village proper, where we will visit Mather Point – arguably one of the most iconic viewpoints in the entire National Park system! After a walk along the Rim Trail, where every turn offers a different perspective of the canyon, we head to our campsite for the next two nights to settle in. 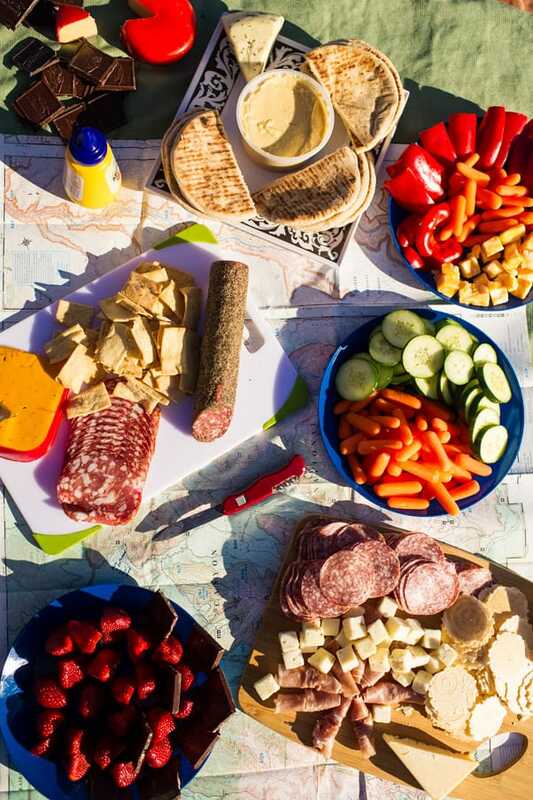 Your guide will prepare the first of many delicious meals while you enjoy good conversation with new friends around the campfire. Today, we rise to the smell of fresh coffee and a hearty guide-prepared breakfast to fuel the day. 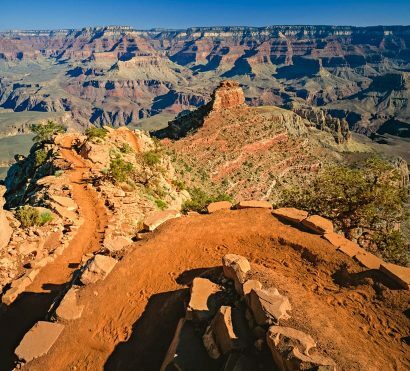 Our goal is to get deep below the rim on the South Kaibab Trail. 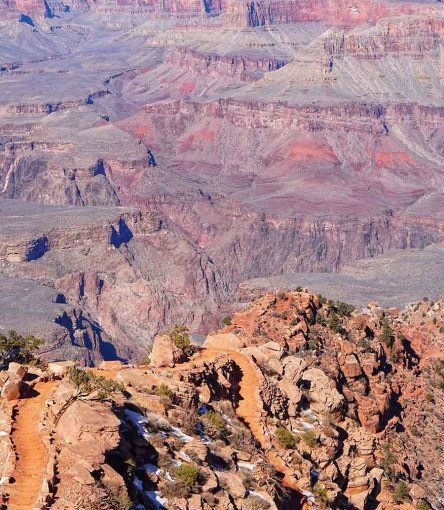 The younger of the two “corridor trails” on the South Rim, the South Kaibab was built as winter route into the canyon. Much of the trail follows stair-stepped ridgelines that offer stunning views up- and down canyon, starting within a mile from the trailhead. We turn around after a rejuvenating lunch break to head back to the Rim where there will be numerous options for more hiking or simply returning to camp for some relaxation in the cool pines. As evening sets in, we’ll gather for another excellent meal before more campfire time and stargazing take us into the night. We get an early start today so that we can get some quality mileage logged in our hiking boots on the Bright Angel Trail. We get fresh new views on this trail that is steeped in history – and prehistory! 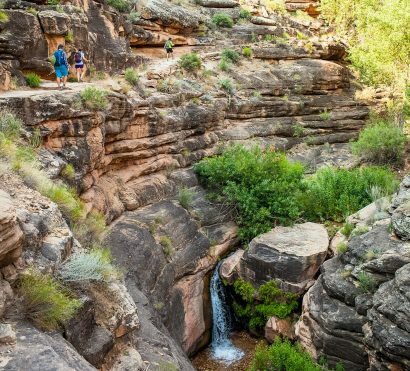 The “BA,” as it’s affectionately known to outdoor pro’s, has been built over the remnants of a native American path to the inner canyon; which itself follows a fault line and subsequent breaks in the rock layers. Our views on the BA are more intimate: we pass by fossils and pictographs, historic inscriptions and lizard tracks in the rock, all which contribute a piece of the story of this special place. We return to the rim after this journey through time to lunch at a restaurant in the Village before heading south back to Scottsdale where our Grand Canyon hiking adventure comes to an end.